Ash Kramer makes like a cardio super hero while putting TomTom’s watch through its paces. THE FITNESS WATCH/GADGET category is a big one and it’s only getting bigger as more companies come up with products catering to the emerging swathes of tech savvy health nuts and athletes. 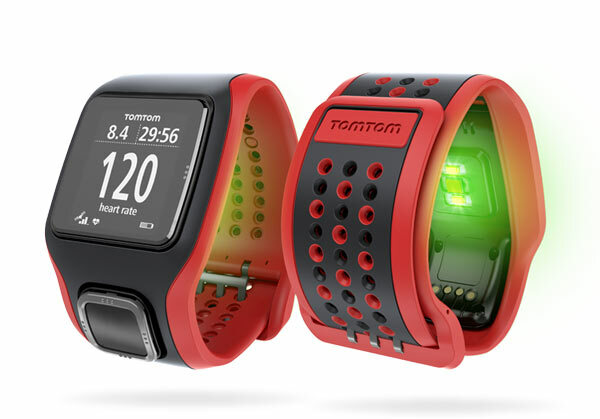 As the product name implies, TomTom’s Runner Cardio fitness watch is aimed at runners – there’s a multisport version available, which is better able to cater to swimmers and cyclists. It’s a completely different animal to the Fitbit Flex activity monitor (reviewed here), which is designed to give a snapshot of daily activity levels. The Runner Cardio aims to provide very specific information to allow runners to train more effectively. It’s a handsome enough device, albeit a large one – in the bright red and black finish, it stands out like a lighthouse on a desolate stretch of coast. The strap is wide enough to be both secure and comfortable despite the large, curved docking section under the watch, while the display is big enough to be relatively easily read. At 144 x 168 pixels, the display is blockier than anticipated but at the end of the day, it’s a fitness watch, not a smartphone accessory. Unlike most watches, the controls aren’t placed around the edges of the display. Rather, there’s a substantial four-way rocker sited just below the display, which gives access to the menu system. The Runner Cardio isn’t particularly difficult to drive – a few minutes with the manual will make everything pretty clear. One of the most appealing parts of the Runner Cardio’s design is the built-in heart rate monitor. That’s right, folks – no annoying chest strap. The Runner Cardio uses an optical sensor to measure heart rate. It tracks changes in blood flow by shining a light through the skin, which sounds a bit creepy but seems to work pretty well. It took only minutes to set up the Runner Cardio to my parameters and then I hit the road. Ironically, I did very little running while I had the Runner Cardio around – a knee injury precluded much pounding of pavement, so I put the watch through its paces with a combination of fixed gear cycling, walking and Bikram Yoga. TomTom says that the Runner Cardio uses a QuickGPSFix technology and a combination of GPS and GLONASS satellite navigation to find a fix, but one thing I had to get used to was the Runner Cardio’s tendency to think for a while before finding the satellites. We’re not talking ages here but it’s best to treat the first minute or two after getting the watch fired up as a static warm up session. Once the watch is locked on, you can basically just get going. The Runner Cardio had no issues dealing with the high speeds of a bike ride but it rightly assumed that I was some kind of superhero given the pace I was apparently maintaining on foot – this threw off the data on the TomTom MySports site but I’d anticipated that. More importantly, it tracked every part of my rides and walks perfectly, generating accurate maps and timing data. The watch can be used as a simple stopwatch and heart rate monitor or the user can choose to dig deeper into the menus and work around the training zone system. The Runner Cardio can also be used indoors for treadmill training. The heart rate monitor seemed to be spot on based on my manual comparisons, as long as I was actually training, that is. When I stopped for a rest, or was just chewing the fat at a local bike shop, the Runner Cardio seemed to think I was having the workout of my life, or that I was inexplicably stimulated given that I wasn’t actually moving. So heart rates of 180BPM and more weren’t uncommon, which of course totally threw off the workout graphs. This happened at yoga and on the bike, when I was covered in sweat and when I was relatively dry, and it happened regardless of whether the workout was paused or active. I tried different strap tensions but that didn’t help, so this inconsistency is something to bear in mind when planning your training. The Runner Cardio shrugged off gallons of hot yoga generated sweat as easily as it ignored rain showers. It synced to the desktop dock every time and uploaded to the MySports site without any hassles. Battery life with the GPS active is limited to around eight hours. I never managed to kill it even on longer rides, and as long as you charge it after every couple of short runs, you’ll never end up with a dead device when you need it most. The Runner Cardio is available from Noel Leeming and JB Hi-Fi.